This article originally appeared on our sister site, VR Source. Samsung will show off four new AR and VR projects at MWC 2017 next week, developed in its experimental C-Labs department. C-Labs is the internal program where Samsung’s employees can work on innovative, small-scale undertakings, and its latest developments have now been teased via Samsung’s press site. 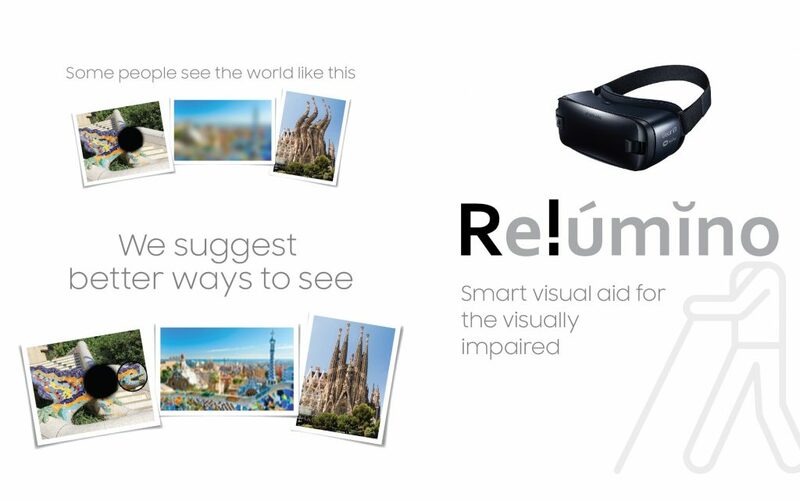 Relúmĭno is an app which is designed to help people with visual impairments read books and watch TV with “new levels of clarity.” Users can install the app on a smartphone and then insert it into the Gear VR where it will “remap blind spots by displacing images” and “correct distorted images caused by metamorphopsia”. It’s a glimpse at the ways in which VR could be used not just in an entertainment capacity but for quality of life improvements also. 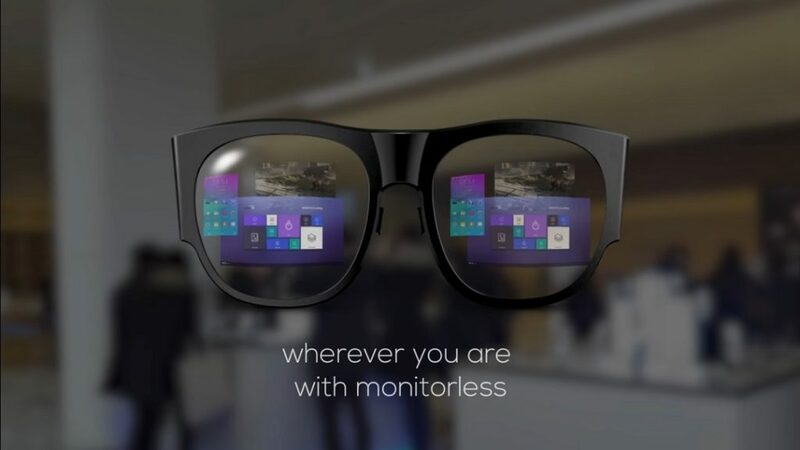 Monitorless kind of looks like Google Glass, but its intended function is quite different. As the name suggests, Monitorless is a way to view a PC or smartphone display in VR. It uses a pair of glasses to mirror a device’s display via Wi-Fi direct and can be viewed in AR mode, where the contents of the screen is overlaid onto the real world. Samsung also says that it could be used to stream high-end games. VuildUs provides a way for users to visualize the placement of new furniture in their home prior to purchase. By pairing a dedicated smartphone app with a 360-degree depth camera, users can take a 3D scan of their house. This can then be viewed in VR, where the home can be explored and potential furniture can be inserted to see if it fits in the intended space (no more measuring tape!). Samsung didn’t go into details about the range of furniture which could be tested — I expect the app could be linked to websites like Amazon or IKEA which house the product’s dimension details — but we’ll find out more next week. 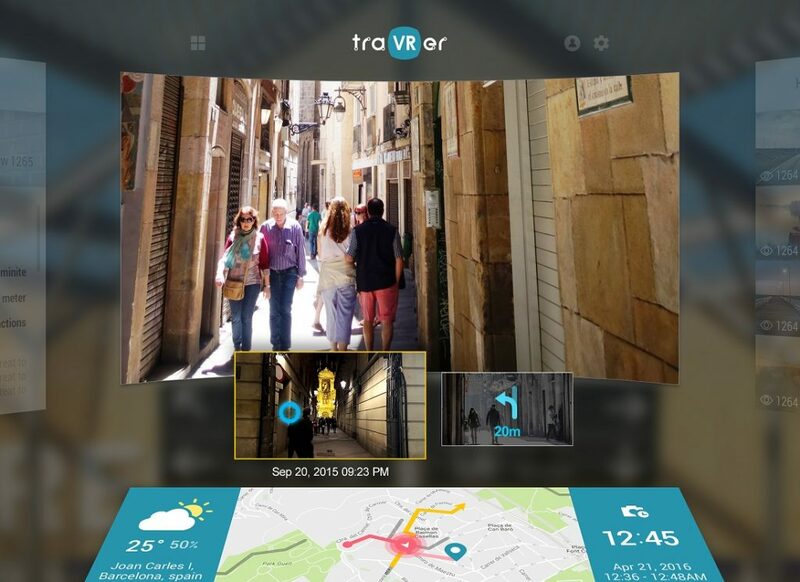 Finally, traVRer is a 360-degree video platform that lets users explore landmarks around the world without leaving their home: it sounds something like Google Street View but with sound and video. These are only small scale projects for Samsung right now and there’s no indication of whether they would be put into commercial production. Look out for details in our MWC 2017 coverage from next week.